Angular Measurement Review: It is interesting to note that the relationship between the angle subtended by combinations of fingers on your fully outstretched arm are the same for all viewers. This is due to the fact that the hand's size is proportional to the arm's length. A shorter arm is attached to a smaller hand while a longer arm is attached to a larger hand, thus the angle measured remains the same. If you hold your arm fully outstretched, your little finger, when sighted down your arm, is one degree wide. Your three middle fingers is five degrees, your fist, 10 degrees, and the distance between your little finger and your pointer finger is 15 degrees no matter what your age or size. To me, the winter night sky is the most beautiful of the year! By mid-month misty Pleiades, the famous open star cluster of the constellation Taurus, is visible due S. at 10 pm. Although part of the constellation Taurus, it lies above its "lazy V" (>) asterism whose brightest star, orangey Aldeberan, glows near the point of the lower branch of the "V". Above are the constellations Perseus, Cassiopeia (whose "W" shaped asterism is unmistakable) and Auriga. Lovely Orion, whose asterism reminds me of a slightly lopsided hour glass, moves upwards from the SE. Note its three "belt" stars located at the "pinch" of the hour glass. The hazy object below the middle belt star is M42, the Great Orion Nebula, and a region of space where stars are being born. Orion is followed by the bright stars Procyon (Canis Minor) and Sirius (Canis Major). To the E shine the Gemini twins, Castor and Pollux. In the SW, the diamond-shaped Great Square of Pegasus stands on one corner while high in the N, Ursa Major's asterism, the Big Dipper, stands on its "bowl". MERCURY becomes visible in SE predawn sky around the 11th and should rise ever earlier through the first week in January. By the end of the month it rises about 90 minutes before the Sun. Bright VENUS glows about 10 degrees above the SW horizon some 45 minutes after Sunset at the beginning of the month. It rises ever higher until it appears almost 20 degrees above the horizon by month’s end. MARS rises above the E horizon at about 11:30 PM. It brightens during the month until its yellow-orange color becomes visible to the naked eye. By month’s end it rises around 10:30 PM. Impressive JUPITER appears about half way up in the E at nightfall. It gradually moves higher in the S before setting in the W during the early hours of the morning. SATURN rises at about 2 AM. It is about half way up the SE sky as it fades from view during morning twilight. The tilt of its rings opens from 14 to 15 degrees. This is its best view since 2006! The Full Moon of the 10th experiences a total lunar eclipse. Unfortunately it will only be visible in the Westernmost United States. The SUN reaches Solstice at 12:30 AM on the 22nd. This marks the beginning of Winter in our hemisphere but summer begins in the Southern hemisphere. Unfortunately the bright gibbous Moon will blot out most of the Geminid Meteor Shower peaking on the 14th. The Ursid Meteor Shower peaks during the night of the 22nd/23rd. NOTE: For those observers not in the ET zone, convert the calendar times to your zone's time by subtracting one hour for CT, two for MT and three for PT. Don't forget to adjust for Daylight Savings Time when necessary by subtracting one hour from your planisphere's time. ; Dawn and dusk times must also be corrected. See your local newspaper, TV news, or cable TV's Weather Channel for sunrise and sunset times. Unfortunately some of these events may occur during daylight hours in your area. The crescent Moon is in conjunction (5 degrees) with Jupiter at 3 AM. The Moon will be totally eclipsed this evening. Unfortunately it will be visible only out west in the U.S., Australia, Asia and also parts of Europe. The Geminid meteor shower peaks at about 1 PM on the 14th however it is best viewed on the day before and after. Its parent is the asteroid Phaethon, probably a "dead" comet, and its radiant (apparent point of origin) is in the constellation, Gemini (thus its name). Although some observers consider this to be the best shower of the year, the bright, barely gibbous Moon, will obscure all but the brightest of events this year. The gibbous Moon is in conjunction (7 degrees) with Saturn at 5 AM. The nearly full Moon is in close conjunction (3 degrees) with Mercury at 11 PM. Our winter solstice occurs at 12:30 AM. It is the longest night of the year. Welcome to winter! The Ursid meteor shower peaks on the night of the 22/23. Its source is Comet 8P/Tuttle and although it produces only about 10 events/hour, it has been known to spike to 50/hour! Its radiant is very near the pole star, Polaris (the North Star) which never sets in our latitude. However, the radiant does climb during the night so best observing occurs during the early morning hours, as usual! The slightly gibbous Moon is in conjunction (6 degrees) with Venus at 6 IS. I have struggled with how to say that this will be the last issue of What’s Up? for some months now. There, now I’ve said it! These two magazines have been my basic references from the beginning. I used both since each has its own strengths. 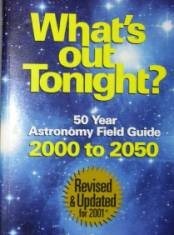 Observing the Constellations is a gold mine of information and What’s Out Tonight? is very useful for long range planning. 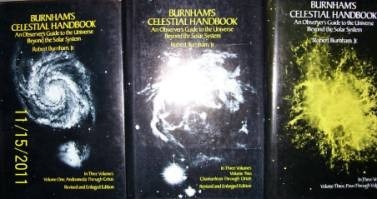 Burnham’s three volume set contains just about every known fact concerning every constellation in the sky in both northern and southern hemisphere. It was his life’s work. 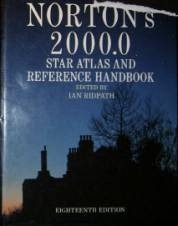 Norton’s star atlas is very old but has been updated by many editors and contains eight plots listing the stars visible to the	naked eye in both hemispheres. 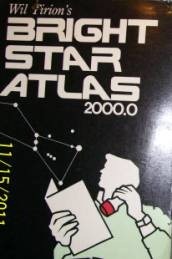 (Every 50 years the plots are updated because the stars are really moving ever so slowly. Epoch 2000 is its latest update. 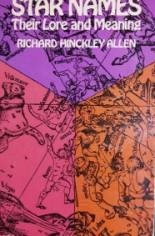 Wil Tirion’s Bright Star Atlas is a simplified version of the Tirion Sky Atlas (which I also own). According to the Encyclopedia Britannica, these three publications, Burnham, Norton’s and Tirion’s are especially popular between amateur as well as professional observers alike. 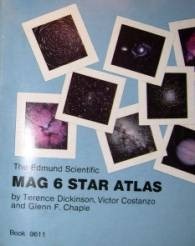 The Mag 6 Star Atlas, published by Edmonds Scientific is quite good and is relatively inexpensive. 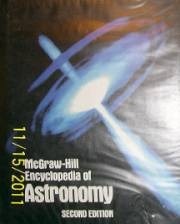 Other useful references are the Encyclopedia of Astronomy and Star Names for topical background. 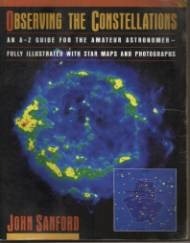 One of the most popular amateur observer’s activities is the search for all of the members of Messier’s catalog. Charles Messier was a comet hunter during the late 1700s. 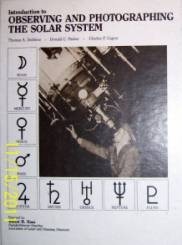 He compiles the “M” catalog eventually listing some 109 “permanent” objects that were often mistaken as comets. Today the search for all of the members of this catalog is still one of the most popular amateur activities. 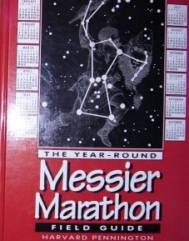 The Messier Marathon describes this activity. 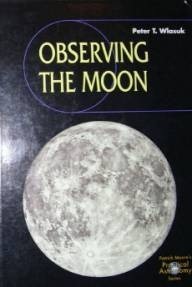 The Moon is by far the most popular street astronomer’s night sky object. It is usually very bright and quite easy to find. It is spectacular to those never having used a telescope of binoculars to view it. 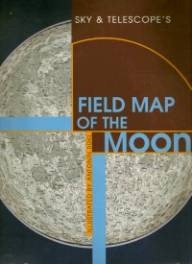 Observing the Moon is filled with images of craters, rills, maria, etc. while The Moon discusses the internal structure and processes. Of course there are other interesting object in our solar system. One of the problems of the street astronomer is that one must go to where the people are and that is often in a usually too well lit environment. Thus we are often limited to viewing the brighter solar system objects. 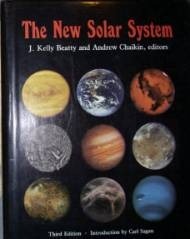 The New Solar System was written after space age information became available and Observing and Photographing the Solar System was written by amateurs for amateurs interested in capturing images of solar system objects. 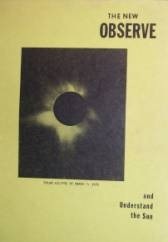 I have included The New Observe and Understand the Sun mainly because I happen to specialize in amateur solar astronomy. Unfortunately the necessary filters, etc., to safely view the Sun through any optical instrument is quite expensive. This can cost into the multi-thousands of dollars! There are a number of field references that can be quite useful to the street astronomer if there is enough light to see them (unfortunately, usually not a problem!) and there is enough space to display them. 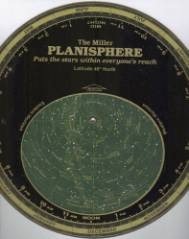 They are all either made of plastic like the Planisphere or are laminated. When unfolded like a road map, they can of interest to casual observers. There are a number of amateurs who don’t own a telescope! They do their astronomy by binocular or naked eye. Binoculars are also quite popular with professional astronomers while taking a break from their duties at their observatories. 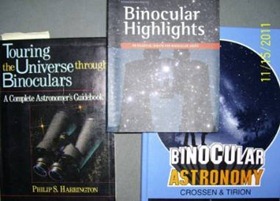 As a matter of fact, I plan to expand my street astronomy hobby by using binoculars. 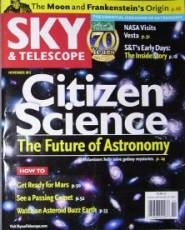 SkyandTelescope.com’s almanac presents basic astronomical data customized for your location, for any date from 1600 AD to2400 AD. 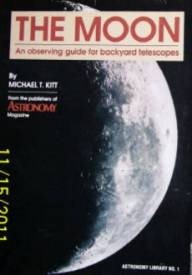 The information available for display includes sunrise and sunset times, morning and evening twilight times, moonrise and moonset times, the Moon’s phase, a list of naked-eye planets visible in the evening and morning skies, rise, transit (when the object is at the zenith in your location) and set times. It is very useful when planning weekly viewing times for a whole season or even a year!! This installment of "Whats Up?" is ©2011 Ronald A. Leeseberg, encoded by Dawn Jenkins for Astra's Stargate. Images used in this installment of "Whats Up?, Ron"are ©2011 by Ronald A. Leeseberg. Astra would like to thank Ron for his contribution to this web site. He will must surely be missed. Astra will make every attempt to keep up with the What's Up? tradition of a monthly almanac. If you are interested in contributing, please use the contact page to express your interest. 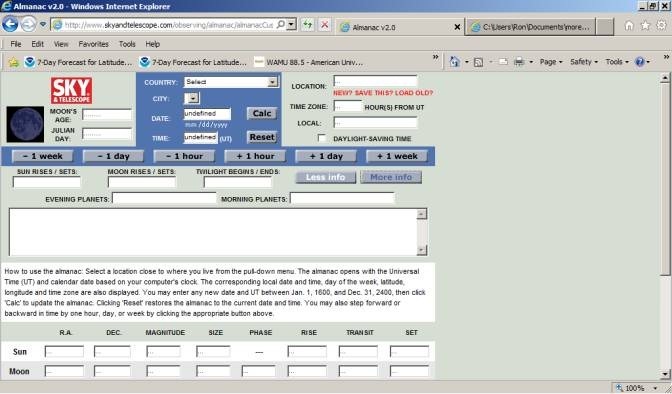 Star charts used on this site were mostly generated by Stellarium, a free open source planetarium program. These were edited by Dawn Jenkins, using a graphic editing program to format the image for this web page. Stellarium offers much more to amatuer astronomers and is being used in planetariums and to guide telescopes in the field. Simple charts like the one above can be used on the internet for non-profit, illustration purposes. Proper credit is due of course! Thank you to the makers of this fine program from Astra's Star Gate. 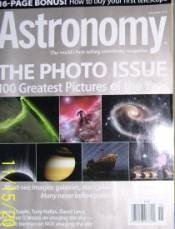 Some amteur astronomers allowed Astra's to utilize their astrophotographs, notably Damien Peach and Daniel Ethier.